What Does idoo Video Editor Can Do for Your Tablet Computer? On April 4th 2013, the technology research company Gartner Inc. reported that, the sales of tablet computer will increased by 69.8% and reached a number of 197 million, while the PC and laptop will decreased by 7.3% to a number of 315 million. In the opinion of Carolina Milanesi, who is the analyst of Gartner, the sales number of tablet computer will increased by 69.8% than the number sold in 2012 (116 million). Moreover, it predicted that by 2017, the sales of tablet computer would be more than the total number of PC and other mobile devices. The other research company, IDC predicted in last month, the sales number of tablet computer will exceed PC in 2013, and exceed laptop in the next year. The scenes of movies and advertisements were effected. As general family users, how could we get those vivid and exaggerated videos? 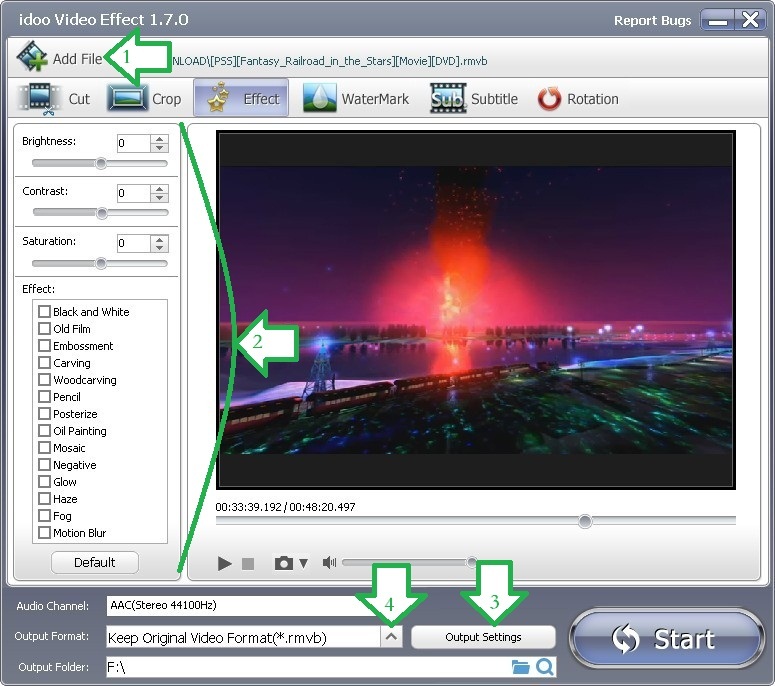 The effect function of idoo Video Editor is isolated from the other functions, and the interface is clear, and make the operation very easy. It provides more than ten professional special effects to users, such as “Old film”, “Pencil”, “Glow” and so on. 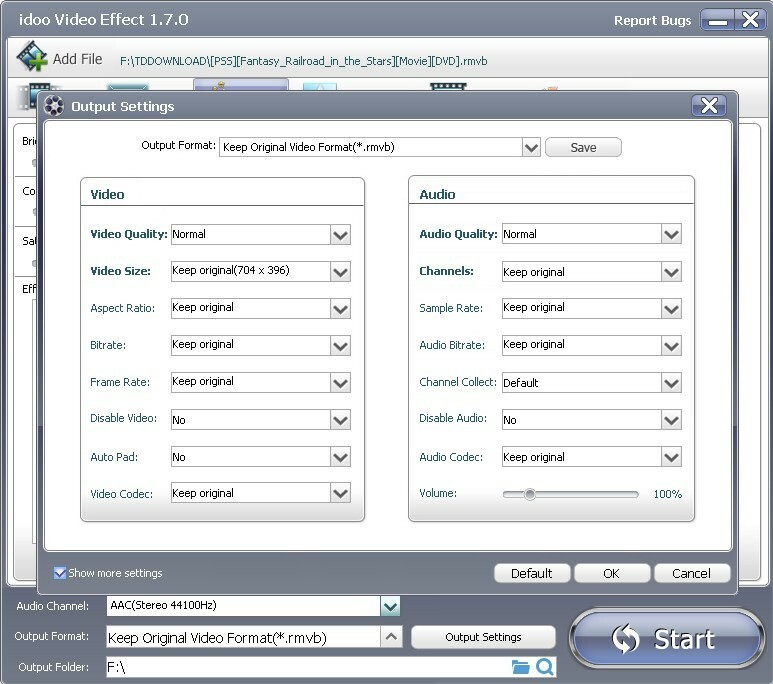 Meanwhile, after adding effects to videos, you can easily convert the edited videos into formats for various tablet computers by idoo Video Editor. Of course you may also edit those tablet computer videos by it. The following tutorial will show you how to convert the edited videos into formats for tablet computers. 1. Click “Add File” (Arrow1) to select the file to edit. 2. You may select the special effects you want from the left box (area pointed by Arrow2). 3. By clicking “Output Settings”(Arrow3), the quality, size and other configurations of output files can be set in the dialog box. See picture showing above. 4. Click Arrow4, and select the formats for pad you need from the list. See picture showing above. 5. When you finish all settings, click“Start” to begin editing. Then you may check the output file or edit it. Which is the most easy-to-use video subtitle editor? How to add srt subtitle to video and adjust the subtitle position? How to add subtitles to MP4 files and set the color of subtitle line? How to add subtitles to AVI and preview the video? Article Resources Related To 4K Video Editing And Converting Issues(2019) Seven Secrets About Convert 4K Video To Other Formats The Easier Way To Convert 4K Video To 1080P With High Quality How to Add Music to HD Video? How to Add Subtitles to MOV Video? How to Add Special Effects to MOD Video? The Best Windows Video Editor - idoo Video Editor The Good Video Editing Software - idoo Video Editor How to Convert Video to Twitter? What Does idoo Video Editor Can Do for Your Tablet Computer? What Can idoo Video Editor Do for Your Facebook? idoo Video Editor, The Best Editor for Your Game Videos For Your Android, What Does idoo Video Editor Mean? What idoo Video Editor can do for YouTube? What can idoo Video Editor do in Windows 8/7/XP? idoo Video Editor: What Does It Mean to Your Samsung Phone How to edit your videos use idoo editing software? Idoo Editor's Tech specs and reference How to cut and trim videos? What Can I Do for you, iPhone 5 and iPhone 5S? How to set video speed by idoo Video Editor? How to Add Watermark to MKV Files? The Best MACBook Air Video Editing Software | MACBook Air Video Editor Download The Best Video Editor for GoPro How to Add Text to MP4? How to Add Effects to TS Files? How to convert the edited videos into formats for those social networks or media devices? How to preview and capture the screen while adding effects to video? How to add effects to video and convert it into other format at the same time? How to add effects to videos? How to add special effects to videos? How to effect video? How to add watermark to video? how to cut wmv video? how to cut MP4 video? how to cut mov files? how to cut video clips? 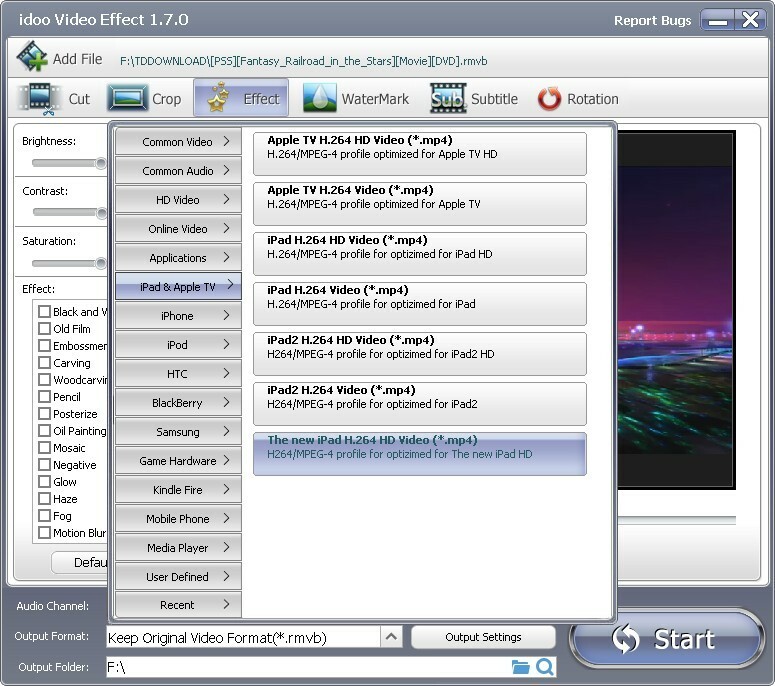 How to convert and split video for MAC? How to split audio from video? How to split AVI video? How to split movie by idoo video editor? How to split MP4 video files according to the time span?